The biggest trends in Weddings for 2019. 2019 Wedding Trends for couples looking for the latest wedding trends and wedding floral trends, wedding styling trends, wedding dress trends 2019. 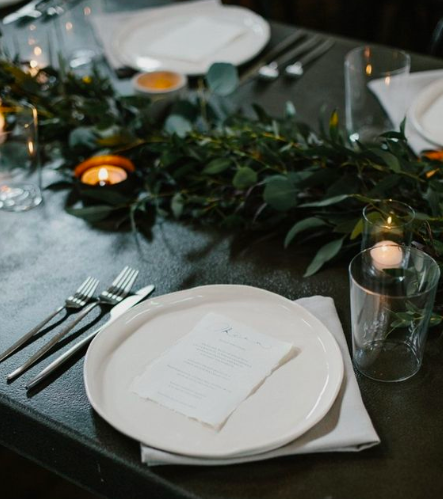 As Sydney Wedding Planners we look at the latests Wedding Trends for 2019. The time has come for our annual trend report bringing together all things cool in the world of wedding planning for 2019. 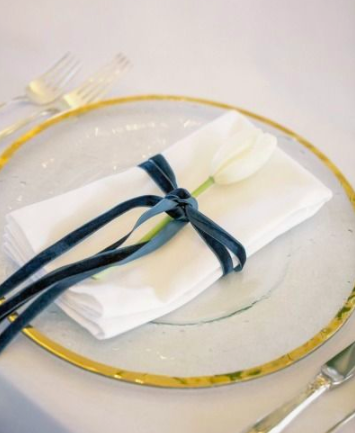 To find out more about Samantha Burke Events and find out how we can help you with your 2019 wedding Click Here or head to our contact page. As wedding planners keeping ahead of styling trends is a big must for us. There are several trends in play for 2019 which we've seen coming forward at the start of this year. Black in a wedding! I never! Don't worry we're not going full goth but dark and moody tones in the form of romantic burgundy, deep forest greens, moody purples, deep navy blues with accents of blacks and metallics are making their way onto styling boards around the world. Taking weddings back to classic styling (think ball room wedding) but adding modern twists. Keeping it pretty, neat and ordered but bringing your look to 2019 but adding metallic accents as well as textures such as velvet can take a traditional look and make it feel contemporary. On a side note velvet is generally so hot right now and there are tonnes of ways to subtly or overtly include this crushing fabric into your wedding. The gift that keeps on giving - RUSTIC! Yes rustic is here to stay for another year. Which we don't mind at all! However as with many other themes that stand the test of time we're looking at ways to grow and develop the rustic styling concept. We're seeing a real rise in couples opting to add other themes into rustic - such as luxe - as a way of making this look their own and move away from the generic visuals you see on Pinterest. Greenery continues to be popular in modern weddings however as the look develops we're seeing florals come back in a big way. The themes for florals and greenery will continue to be romanic, organic and lush providing some real wow factor. Oversized installations will be big in 2019 and it's all about bringing the outdoors in. Whether it's floral walls, ceiling installs or creating an enchanted forest with trees and lighting more is more 2019 and we couldn't be more excited! Think Meghan and Harry's Church entrance and you're on the right track. 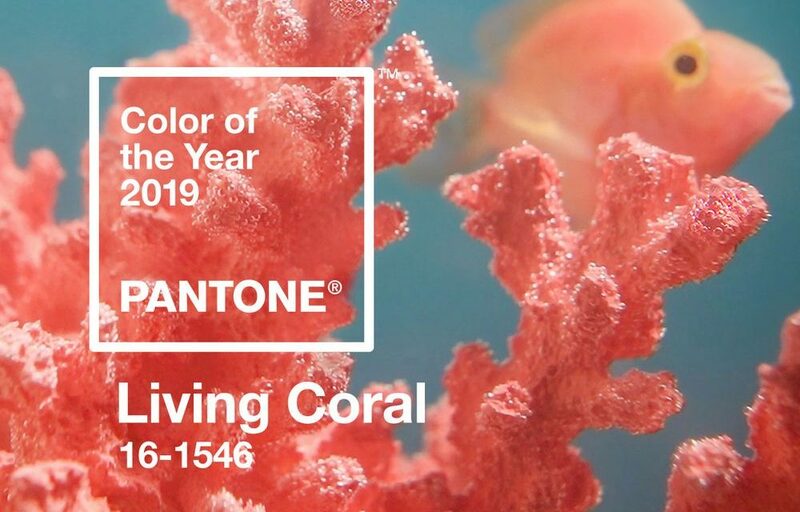 Every year Pantone announces it's colour of the year and this year is Living Coral. While it's yet to see how big an impact this will have in 2019's wedding trends coral has been a popular theme for many years bringing a bright and cheery mood for many brides and Grooms. While we're always at the mercy of mother nature we're sure coral peonies and roses will be cropping up come spring time brining vibrant colour to many wedding bouquets and centrepieces. Balloons are not just for kids. Whether its a ballon wall, balloon entrance or a balloon garland at your photobooth make your guests eyes pop (dad joke) with an amazing ballon install. Who doesn't love a bit of wow in a wedding invitation. And why not. Two big themes to look at for 2019 are actually quite different but can work for your theme. 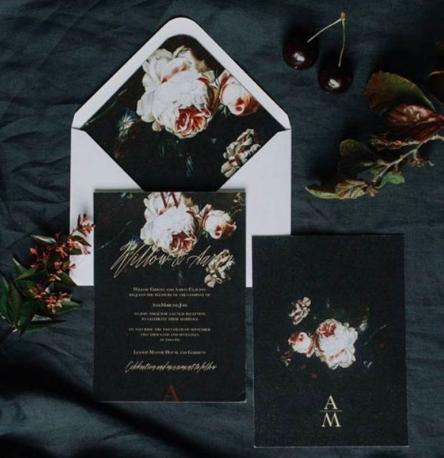 If you're sitting in the traditional space look at how you can include a custom illustration in your invites. If you're going modern then Vellum is a really great way to create texture and interest. Classic is back and smart is in. Trends are leaning for grooms to go with classic 3 piece suits and for brides it's all about minimalist simplicity with classic dresses. Again we have the lovely Miss Markle to thank for showing us all how to rock this look. To really pull this off make sure you get a shape that suits your figure and tailoring / fitting is key. If white isn't really your thing and you're wanting to really mix it up and cause some shock factor (scandal) then don't do white at all! Finally ditch the veil and opt for an amazing headpiece to wear on your big day. 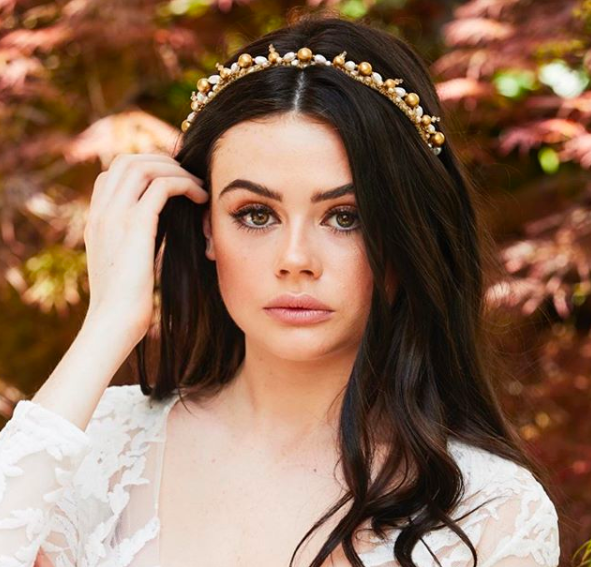 Etsy has reported a rise in the number of searches for bridal headpieces with 43,000 people searching in the last 3 months alone. Whether it's a crown, comb or pins you can add a bit of bling and create something truely unique as part of your bridal look. If your wedding wasn't on instagram - did it even happen? Ok tongue in cheek there but creating one big or several smaller instagrammable moments is what it's all about, especially if you're a millennial. Whether it's a beautiful food station, a cool photo wall for guests to get infront of or just something beautiful like this super cute wedding swing there are plenty of things you can do to get your guests snapping and tagging on your big day. Rusting Wedding Swing - Image: Brides. There are tonnes of trends coming through for 2019 but these were our pick of the bunch. Remember that trends come and go but your wedding is really about you. So enjoy the trends, be inspired, but be you! To find out how to apply any of these awesome trends to your wedding in Sydney or the surrounding areas contact us today for an obligation free wedding planning consolation.